Should I make a copy of my DS-2019? Yes. It would be beneficial to have an extra copy in case you need to reference it for any reason during the visa process. Where can I find my Sevis number on my DS-2019? Your sevis number is located on the top right hand side of the page in the box above the barcode. The number starts with an “N”. Am I responsible for the SEVIS fee? Yes. The College of Engineering does not pay this fee for students. I am studying for 2 semesters at the university but my acceptance letter only states the fall semester/spring semester. Does this matter? No, the first semester of your attendance is the only semester required on the letter. If you have not received your documentation, it is because it has not been processed fully. Do not worry, this does not mean there is a problem with your application. If there are any missing materials, we will be in contact with you. There is a mistake on my DS-2019. How do I fix it? Please let Jana Gadbury (jgadbury@illinois.edu) know immediately. She will request a reprint and send the new copy to you as soon as possible. I’m applying for my visa and am required to provide contact information. I’m not sure what address to use. You can use the International Student and Scholar Services Office as your contact in the U.S., 610 E. John Street, #400, Champaign, IL 61820, telephone number 217-333-1303. When should I arrive to campus? Is the mandatory orientation the same as the ISSS orientations? Student and Scholar Services (ISSS) office offers a shuttle service from O’Hare Airport. If you are attending UIUC during the spring semester, you can find transportation information on the ISSS website. Your NetID will be your most important electronic ID at the University of Illinois; you will use it for just about everything. How do I claim my NetID? In order to claim your NetID, you’ll need your University Identification Number (more commonly known as your UIN). You can find this number on the back of your Notice of Admissions letter. Then, go to netidclaim.illinois.edu and follow the instructions. I am having trouble with my NetID and password. Can you help me fix it? No. You will need to contact Technology Services for assistance with your NetID and/or password. Is University Housing guaranteed for incoming exchange students? Yes, University Housing is guaranteed for incoming international exchange students. If you complete the application by the priority deadline, you will be able to pick your own room space (self-selection). If you do not complete your application by the priority deadline, your room space will be assigned to you based on the preferences listed in your housing application. Where can I find more information about self-selection? What are the chances I will get into the housing I specified? The likelihood of receiving your desired housing varies from year to year on the number of admitted students and the requests for certain spaces. Please be advised that spaces in Sherman and Daniels are limited due to high demand. Is it possible to get a single occupancy room? There is a limited amount of single occupancy rooms within University Housing, but we do have a few in a variety of our residence halls. I am only staying one semester. Do I need to pay for a full year of housing? for the fall semester, you should contract for a full academic year; you will be allowed to cancel the spring semester portion of your contract without a penalty fee once you provide proof to University Housing that your program has ended and you are leaving campus. Will they run out of housing for me? Does housing stay open during breaks? I am arriving on campus early and my residence hall will not be ready. What are my options? If you will be living with a private certified housing facility, please contact that facility directly. When will I be charged for housing? University Housing will charge your student account in mid-August if you are coming for the fall term. If you will be attending in the spring semester, housing will charge your student account in the beginning of January. You can find step-by-step course registration instructions in the Exchange Student Guide. Why am I receiving department/major errors when trying to register for courses? 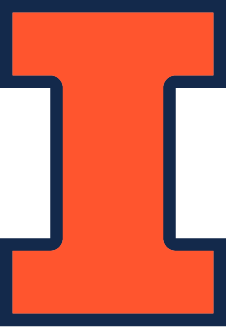 All incoming exchange students are classified as non-degree, undergraduate students at the University of Illinois, Urbana-Champaign. As a non-degree student, you are not officially registered in any department so you will be restricted from all courses that have a specific department or major requirement. Why am I receiving pre-requisite course errors when trying to register for courses? You are receiving pre-requisite errors because the courses that you have taken at your home university are not in the UIUC course registration system. This does not mean that a course from your home university will not count as the required pre-requisite course. What do I do about course registration errors for College of Engineering courses? have received instructions to do so. Some engineering departments will address course registration issues prior to arrival to campus, but other engineering departments require incoming exchange students to wait until they arrive to campus to address course registration issues. What do I do about course registration errors for courses that are not offered by the College of Engineering courses? You can go ahead and contact the department that offers the course or professor that teaches the course to request permission to register. What do I do if I absolutely have to take a certain course to meet the requirements of my home university? The College of Engineering cannot guarantee enrollment in any specific course. You need to be as flexible as possible in your course selection and have alternate courses in your plan if you are not able to register in a specific course. What do I do if a course I want to take is already closed? closed. Also, you should check with the department to see if there is a waiting list for the course. Can the International Programs in Engineering (IPENG) office give me permission to register in a course? contact prior to arrival. Beyond this, IPENG has no control over course registration. What do I do if I’m not able to register for any courses before I arrive to campus? Because of department/major and pre-requisite restrictions, it is common for incoming exchange students to be able to register for very few, if any, courses prior to arriving to campus. You will have 10 days after arriving to campus to complete your course registration. How many UIUC credits do I have to take? To maintain your J-1 visa, you must be registered as a full-time student at UIUC (12 hours). Can I take graduate level courses? Yes, if you are able to obtain permission from the department/professor of the course. How do I enroll in the UIUC Student Health Insurance? All incoming exchange students are automatically enrolled in the UIUC Student Health Insurance. Can I opt out of the UIUC Student Health Insurance? You may be able to opt out of the UIUC Student Health Insurance. You will have to show proof of equal or better health insurance coverage. For more information, visit the Student Insurance Office. How do I pay for the Student Health Insurance? UIUC Student Health Insurance is billed to your student account. Where can I find information about immunization requirements? You can find the Immunization History Form and all instructions for completing and submitting the form at McKinley Health Center.